I’ve recently stumbled upon a [post by Jason Fried](http://signalvnoise.com/posts/1185-the-need-for-speed-making-basecamp-faster) where he discusses the efforts Basecamp took to speed up their API. When I logged in to my Basecamp account and started poking around, it felt very responsive and much quicker than before. Having some issues of our own with LiveChat API speed, I was pretty impressed. I decided to dig a bit deeper. 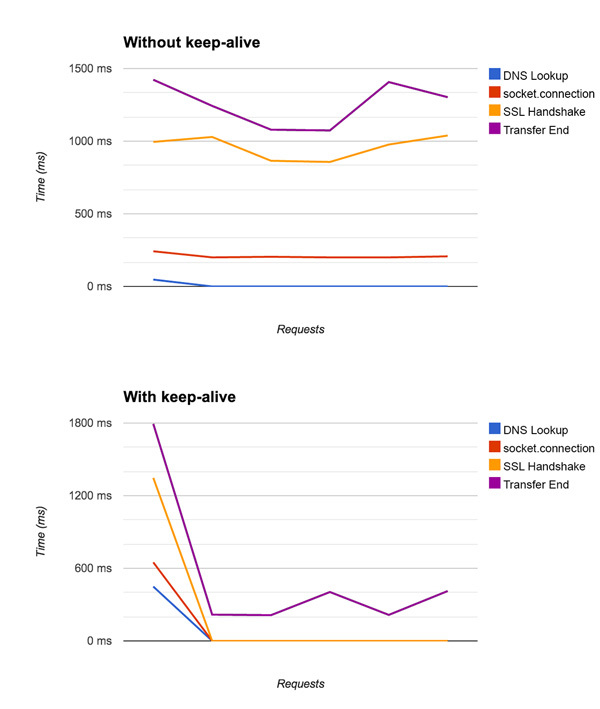 After looking under the hood of Basecamp, mainly at the way their connections are handled, I noticed that all requests are very fast – around 300 ms from Europe and 180 ms from the US. Actually, the only request that took a bit longer was the initial SSL handshake, which took 400ms. Since it requires two roundtrips, the time of a the normal request needs to be doubled. When sending request in our API, we used to add the SSL information with each request, which significantly increased their duration. The average request took around 1,300 ms in Europe and 400 ms in United States since our data centers are located in Dallas, TX. I hit up our administrator to ask if we could use keep-alive on the SSL part of our request to make them last for the duration of the session instead of sending the same information with each request. After a bit of testing and setting up [HAProxy](http://haproxy.1wt.eu/) on a localhost, it turned out it should work for us. You only needed to add the `x-forwarded-for` option to the first request that goes through the `keep-alive` socket as HAProxy leaves all the following `keep-alive` traffic untouched. Use option httpclose to turn off keep-alive in HAProxy - When you use this option, HAProxy will add connection:close header to all requests and force the backend and client to disconnect. It also makes it possible to use option forwardfor. This is the worst option as every client request requires a new DNS Lookup, new SSL Handshake and a new socket, making the whole request much longer than necessary. Keep alive connections between client and balancer. Close connections between balancer and backend - This is the fastest way to make keep-alive work. 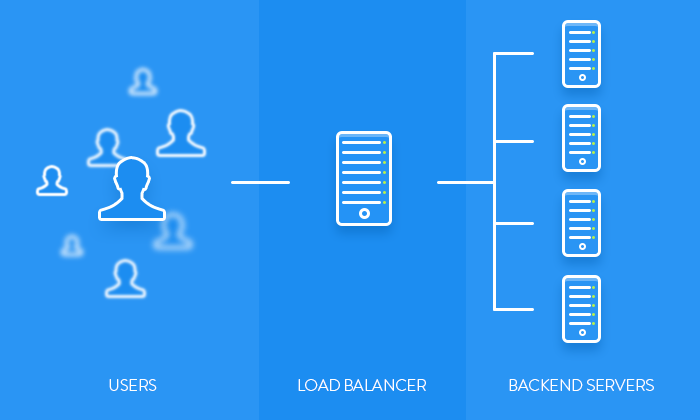 It’s more resource-demanding as it creates and closes sockets to backend more often. There is only a small delay because balancer needs to perform a DNS Lookup and create a new socket when connecting to your backend. But if we assume that it is in a local network, the delays should be very low. It also doesn’t require any development in your backend. We went with the second option, which is very easy to set up. We just had to add the `http-server-close` option to our HAProxy config defaults. We’ve managed to cut our request times by over 1,100 ms for each request, which is a significant boost in performance. After the initial SSL handshake, it takes only around 150 ms in the US and 250 ms in Europe to finish a typical request like getting the list of agents.